A two-day “fly-in” organized by the National Marine Manufacturers Association to the Florida state capital concluded yesterday. 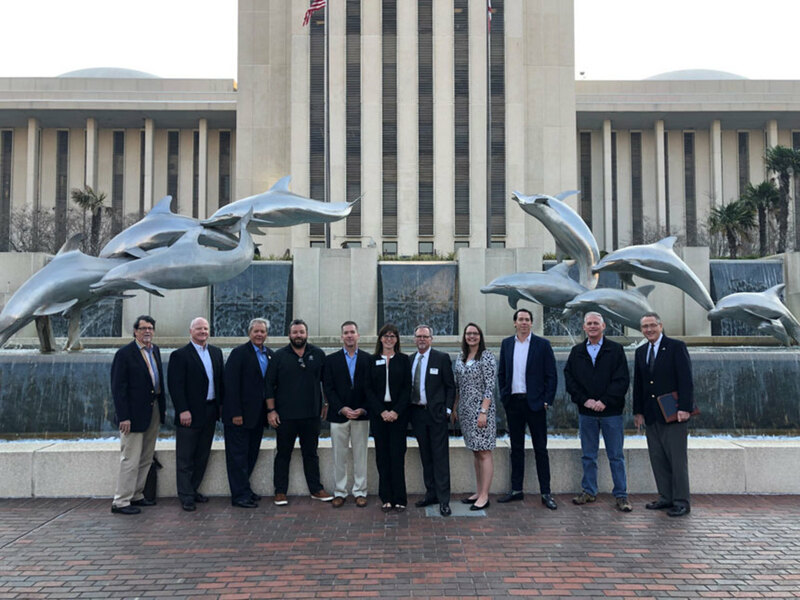 Twenty-five members of Florida’s marine industry converged on Tallahassee to meet with legislators about major issues impacting the industry. The Tallahassee meeting was the first state-level gathering for industry participants, and the list of participants included boat builders, distributors, composites manufacturers, engine builders, marine trades associations, two boat club organizations and a strong showing of marine towing companies. An NMMA statement said that the meeting started with a meeting with House Appropriations Chair Holly Raschien (R-120, FL Keys) to discuss the governor’s budget. 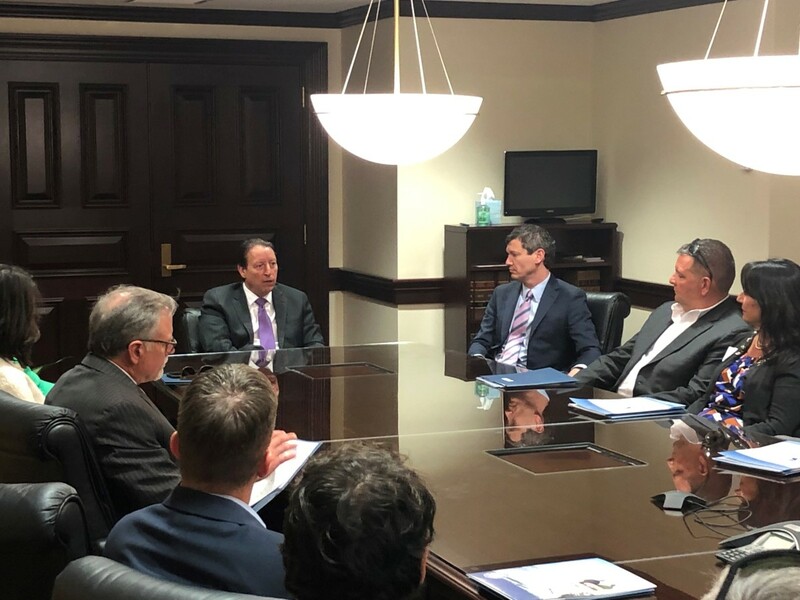 The group also met with Senate President Bill Galvano. He acknowledged the need for consistent funding to improve water quality. The group also heard from Department of Environmental Protection Secretary Noah Valenstein. NMMA said it supports Valenstein’s reappointment, as he has been a “champion” for the boating industry. On the second day, the group spoke with Florida Department of Environmental Protection’s Deputy Secretary Drew Barlett. Barlett discussed issues regarding Lake Okeechobee, algal blooms, and the time schedules on the projects to help alleviate these issues. The fly-in concluded with a “thank you meeting” for Senator Ed Hooper, who is sponsoring the uniform titling senate companion bill—one of the four key issues the NMMA group went to Tallhassee to discuss. Uniform boat titling is an initiative being adopted by states to create uniformity across the U.S. with boat titling. “It will put in place significant consumer protections,” said Correct Craft CEO Bill Yeargin, who was part of the Fly-In. Water quality was the second issue. “We explained to them how important clean water is to our industry,” said Giglio. “We were told that the State would be stepping up its environmental commitment this year and was allocating $600 million to this issue,” added Yeargin. The third issue--dock reconstruction destroyed by hurricanes--included the industry’s request to forego state permitting if the same dock is being rebuilt. Boating access was the final big issue. The industry representatives asked the state to help with initiatives to improve access. Yeargin will be speaking with Florida Governor Ron DeSantis on Monday. “I will be sharing some of the boating issues with him personally,” he said.